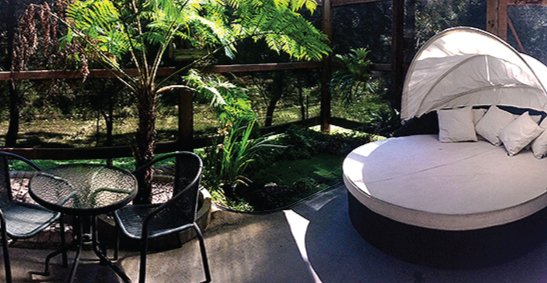 Wellness Centre Port Stephens is nestled in the grounds of The Oasis One Mile Beach. Our eco accommodation comprises nine self contained, lofted cabins around the perimeter of the grounds – comfortable, affordable accommodation suited to singles, couples, families and groups alike. The cabins are secluded and private, concealed by landscaped gardens and with a front verandah. Our Standard cabins are comfortable, affordable accommodation in an idyllic garden and bushland setting with a queen bedroom, bathroom, and open plan kitchen/meals/lounge downstairs. Upstairs is the loft, an open plan sleeping area – perfect for families and groups. The Hot Tub cabins are slightly more luxurious than the standard cabins and have their own private outdoor hot tubs. Pets are very welcome at The Oasis by prior arrangement. Our Pet Friendly cabins have small fenced back terraces and pets can stay inside these cabins. A fee of $15 per pet applies. Our outdoor meals area is great for cooking group meals with two large BBQ’s and a full outdoor kitchen. This area can seat up to 30+ people for communal dining. Available for private hire on request. Our cabins are self contained with a full kitchen. There are also plenty of great local eateries nearby. 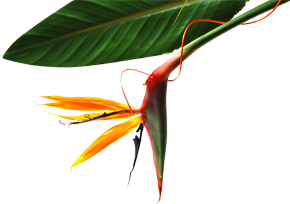 We have an abundance of native wildlife at The Oasis. You might have the opportunity to see koalas, kangaroos, kookaburras, possums, lizards and frogs during your stay.